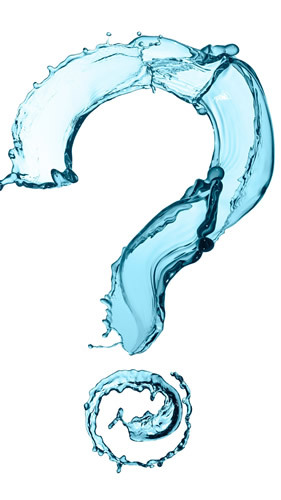 What impurities are found in our water? Below are listed some of the most common impurities and conditions found in the water that may reach the home. These contaminants or substances are not necessarly in your water and may not pose a health risk. It is recommended that you have your water tested by a state- certified lab or ask your municipality for a copy of a water analysis. Sediment is the sand, rust scale and other particulate matter present to some degree in all waters. Besides being visually objectionable, sediment can clog valves, piping and water heaters. Sediment can also cause wear and potential failure of valves and seals in household appliance. Sediment build-up can also cause water heaters to become increasingly inefficient, adding cost to your energybill. “Hardness” in water is actually the dissolved calcium and magnesium mineral in water that often causes problems for the homeowner. It is more difficult to wash hair or clothes in hard water, requiring more soap to clean effectively and it can cause clothes to appear “dingy”. Hard water can cause a hard mineral scale to form in pipes, water heaters and appliance. The result can be water leakage, equipement failure and higher energy consumpion. Water that has a disagreeable taste or smell isn’t necessarily unhealthy, but it isn’t something you or your family want to drink. And poor tasting water does negatively affect the flavor of your foods and beverages. Although chlorine is a necessary additive to pubblic water suppliers to protect us from bacteria and viruses, it does add a disagreeable taste & odor to our water. This chlorine off-taste is the primary reason consumers choose to filter their water. Giardia and Cryptosporidium are waterborne cysts that occasionally make their way into pubblic water suppplies. Chlorination by our public utilities does not adequately kill these cysts. Outbreaks, while rare, cause widespread infection and intestinal distress lasting from several days more than a week. Lead is a toxic metal that is known to dissolve into water systems from lead solder, lead piping or brass plumbing fixture used in older water systems. Several serious negative health effects are attributed to excess exposure to lead, including nervous system damage and birth defects. This is a category of contaminants that includes pesticides, herbicides and industrial chemicals. These chemicals may enter a water supply through ground-water contamination or by farm run-off. Many of these chemicals are proven serious health problems.